Washington's first wine grapes were planted at Fort Vancouver by the Hudson's Bay Company in 1825. By 1910, wine grapes were growing in many areas of the state, following the path of early settlers. French, German and Italian immigrants pioneered the earliest plantings. Wine historians Ron Irvine and Dr. Walter Clore document in their book The Wine Project a continuous and connected effort to cultivate wine grapes beginning with those early plantings at Fort Vancouver. Hybrid varieties arrived in nurseries in the Puget Sound region as early as 1854, and by 1860 wine grapes were planted in the Walla Walla Valley. Large-scale irrigation, fueled by runoff from the melting snowcaps of the Cascade Mountains, began in eastern Washington in 1903, unlocking the dormant potential of the rich volcanic soils and sunny, arid climate. Italian and German varietals were planted in the Yakima and Columbia Valleys and wine grape acreage expanded rapidly in the early part of the 20th century. In 1910, the first annual Columbia River Valley Grape Carnival was held in Kennewick. By 1914, important vineyards had sprung up in the Yakima Valley--most notably the vineyards of W.B. Bridgman of Sunnyside. The arrival of Prohibition in 1920 put a damper on wine grape production, but ironically may have helped spawn early interest in home winemaking. At the end of Prohibition the first bonded winery in the Northwest was founded on Puget Sound's Stretch Island. By 1938 there were 42 wineries located throughout the state. The first commercial-scale plantings began in the 1960s. The efforts of the earliest producers, predecessors to today's Columbia Winery and Chateau Ste. Michelle, attracted the attention of wine historian Leon Adams. Adams in turn introduced pioneering enologist Andre Tchelistcheff to Chateau Ste. Michelle. It was Tchelistcheff who helped guide Chateau Ste. Michelle's early efforts and mentored modern winemaking in this state. The resulting rapid expansion of the industry in the mid 70s is now rivaled by today's breakneck pace, where a new winery opens nearly every 15 days. The trend for quality wine production started by a few home winemakers and visionary farmers has become a respected and influential $3 billion plus industry. 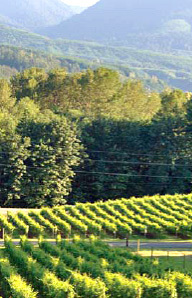 Washington wine is available in 50 states and more than 40 countries globally. Washington ranks second nationally for premium wine production and more than 31,000 acres (12,545 hectares) are planted to vinifera grapes. Significant developments in Washington State include the formation of the Washington Wine Commission, a unified marketing and trade association, in 1987. 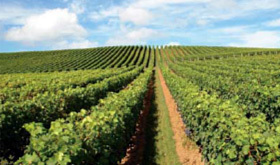 In 1999, the Commission established the Washington Wine Quality Alliance (WWQA) to spearhead development of industry standards in winemaking and labeling. Washington is the first state in the U.S. to define standards for "reserve" wines. In 2003, the Washington Wine Institute and its educational partners celebrated the state’s $2.3 million investment (per biennium) to create new 2-year and 4-year degree programs supporting Washington’s growing wine industry. The program provides an educated work force to satisfy the needs of the growing industry. 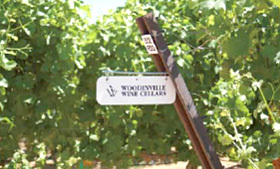 A degree program, ongoing education and research enhance the state’s reputation as a quality wine producing region. Washington's wine future is limitless. As consumers discover the quality of Washington wines, demand continues to grow nationally and internationally, increasing Washington’s status as a premium viticultural region. New acreage and wine varietals are planted and new wineries are opening at a remarkable pace.